It’s time for another Moody Monday! 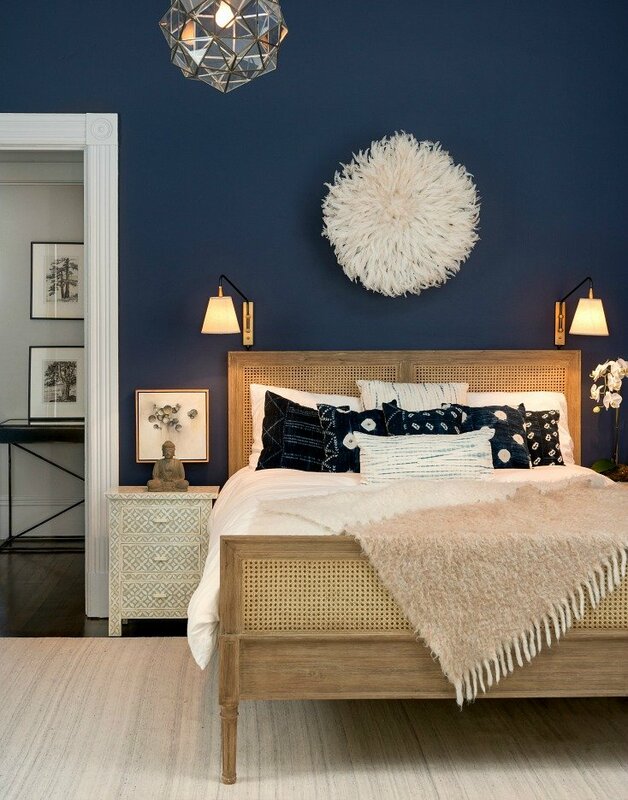 Today I wanted to feature some gorgeous examples of layered transitional blues and grays and show you why this color combination is the perfect color palette for creating a neutral foundation in a space. 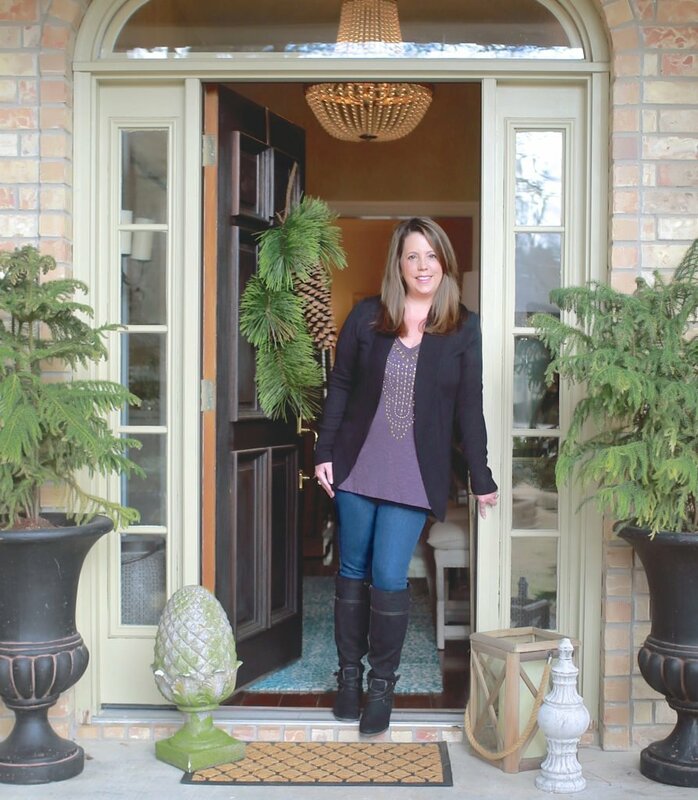 I’m excited to be teaming up with Bassett Furniture for today’s Moody Monday and I’ll also be showing you what to look for in furniture wood tone colors that can help neutralize a space. Some of you guys who have been following along with me over the years know that I talk a lot about how to choose transitional paint colors. Not only are these the safer colors to use, but these neutral hues pretty much guarantee that almost any color, wood tone and finish will work in the space. 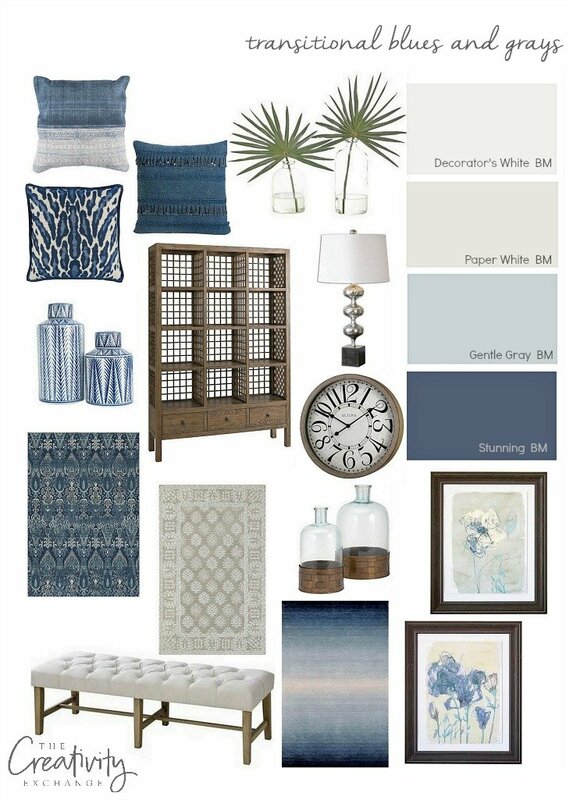 It’s funny, people don’t normally think of blues as being neutral or transitional but yes, certain shades can be grounding neutrals that will work with almost any color as long as they have a mix of warm/cool undertones. 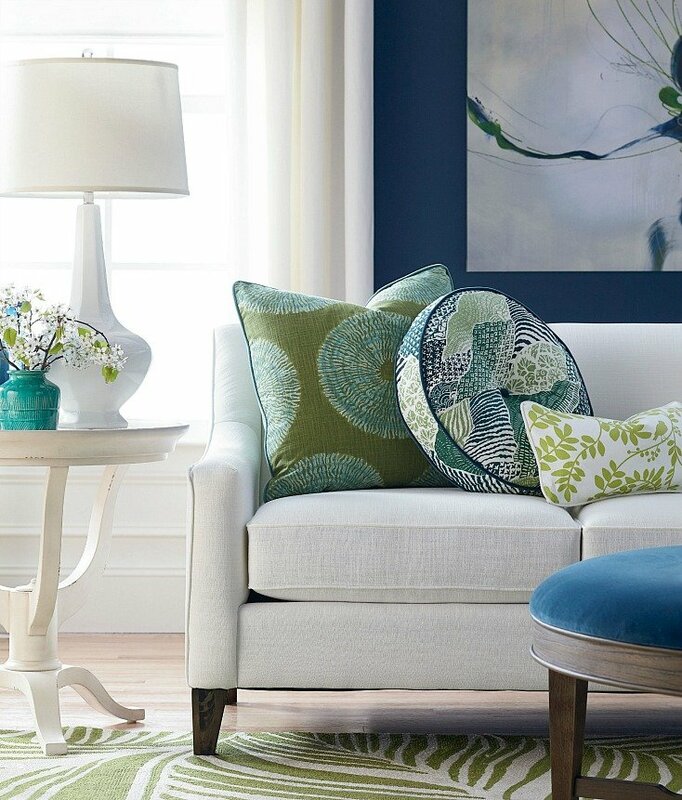 These shades of blue can have the same neutral impact as grays. If you look below, these two blues have a mix of warm/cool undertones and are are great examples of the shades of blues that can be transitional neutrals. If you’re not sure where to look for a good transitional blue, an easy trick is to look at a color fan deck and choose a blue that is about to transition into either the purple or the green colors. Those blues on the edges of color transition are where you’ll find those great transitional blues. When you see these grounding blues together in today’s design mood board, you can see how these two shades of blue are neutral. All of the product source links are directly below the board. I love this mood board and transitional furnishings because you can do so much with it slipping in fun bright colors seasonally (lime greens, yellows, magentas, etc..). By the way, I am obsessed right now with this beautiful sofa (above) from Bassett! I love the lines and the fabric is just beautiful. 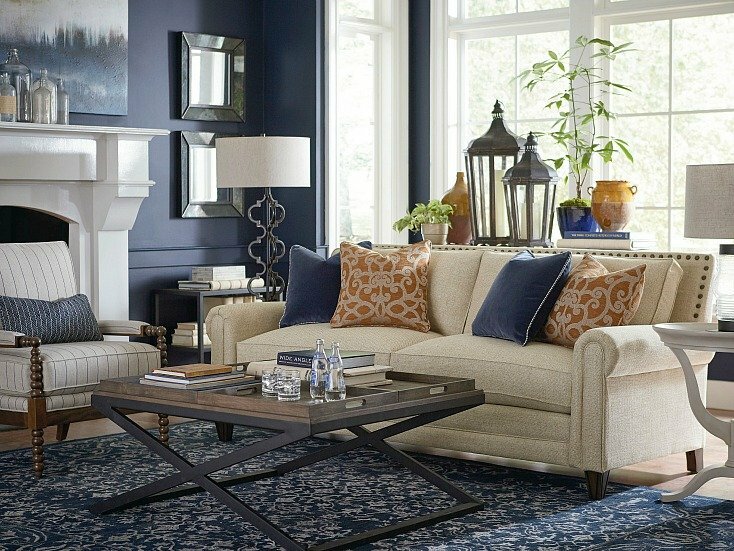 I have been looking for new neutral sofa with classic design and as I have narrowed down my choices and I keep going back to Bassett because their furniture is just so well made and they have a huge fabric color selection. 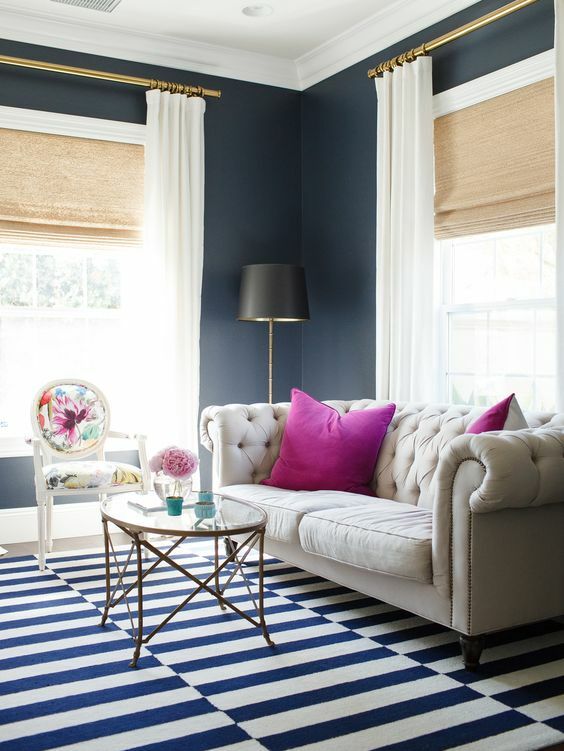 Speaking of color, look at this beautiful splash of magenta in this transitional blue and gray space. Again, having a good foundation to have the flexibility to switch out colors is so fun! Orange you say?? Yep, even orange can look amazing in a transitional blue and gray space just by switching out a couple pillows and accessories! Furniture pieces in neutral wood tones that are not too warm can also be a big help in layering a transitional space. 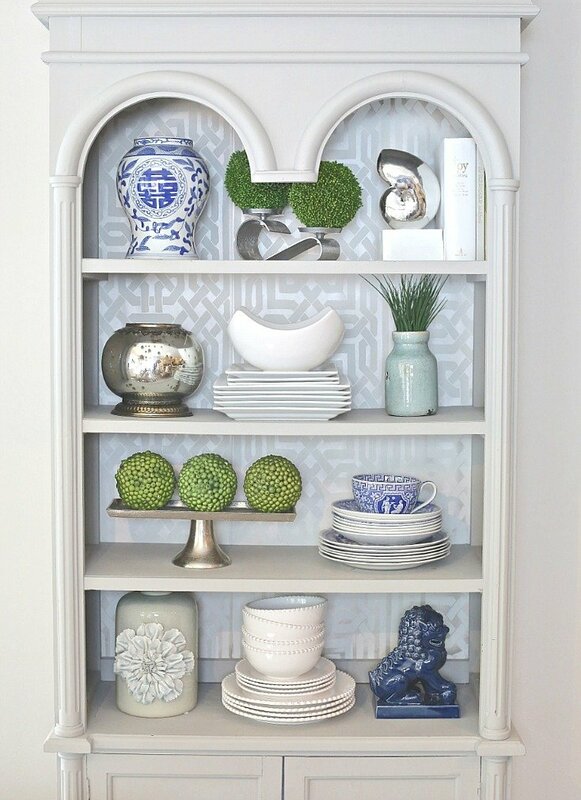 How amazing is this shelving piece?! 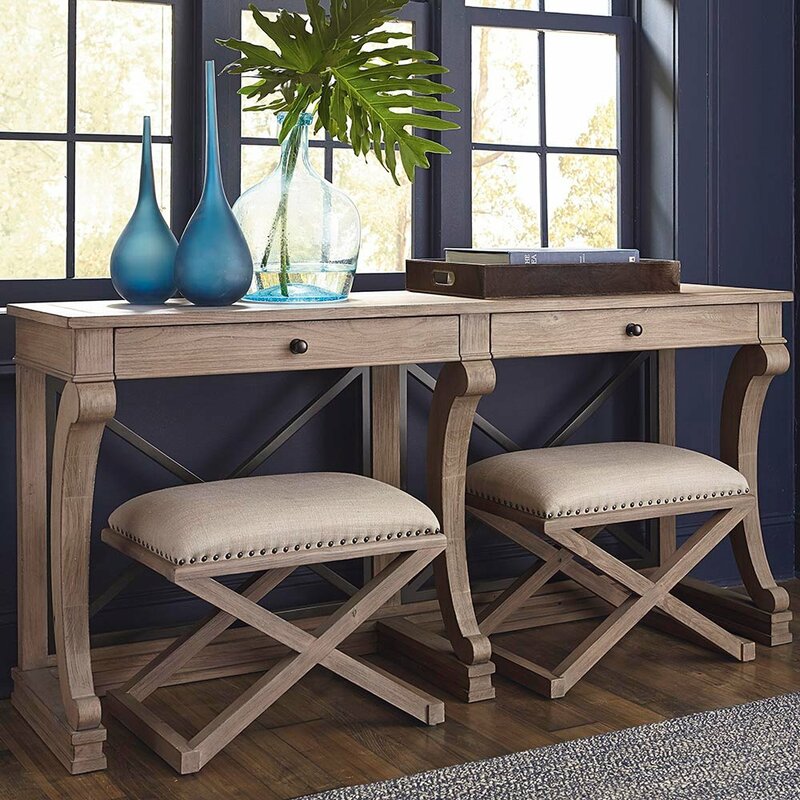 Notice on this console table below how the wood tone is not too yellow, red or warm. This neutral wood tone will work beautifully in any color scheme. 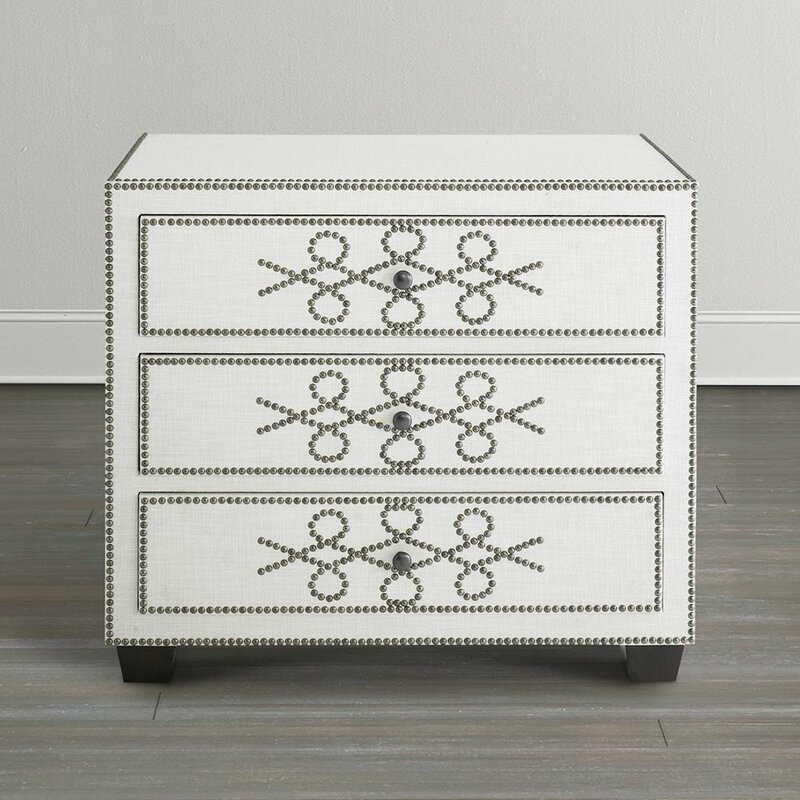 Upholstered furniture pieces are really popular right now and I’m obsessed with this linen nailhead chest. 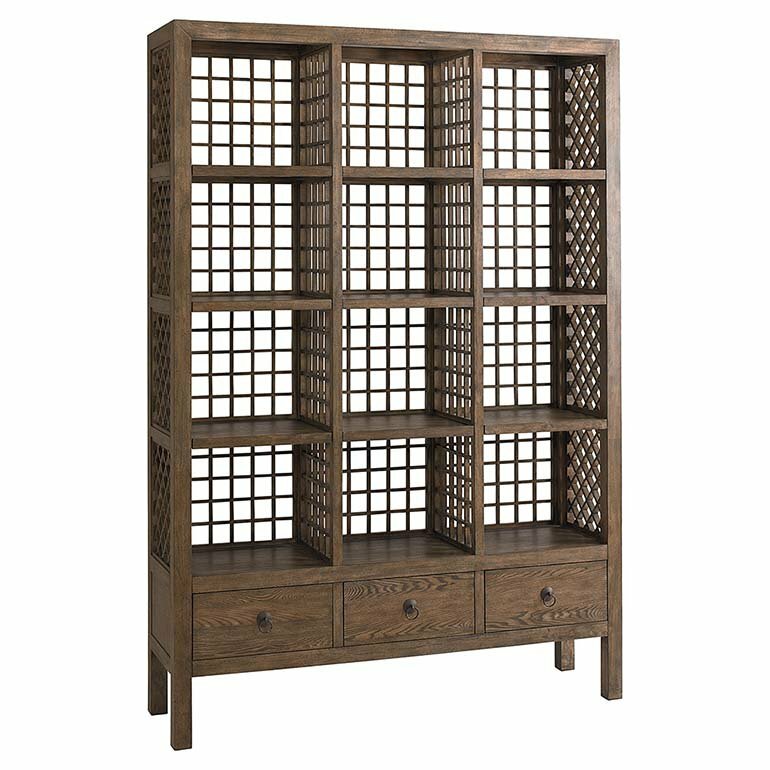 Another great neutral furniture piece that would work with any design style and color palette. 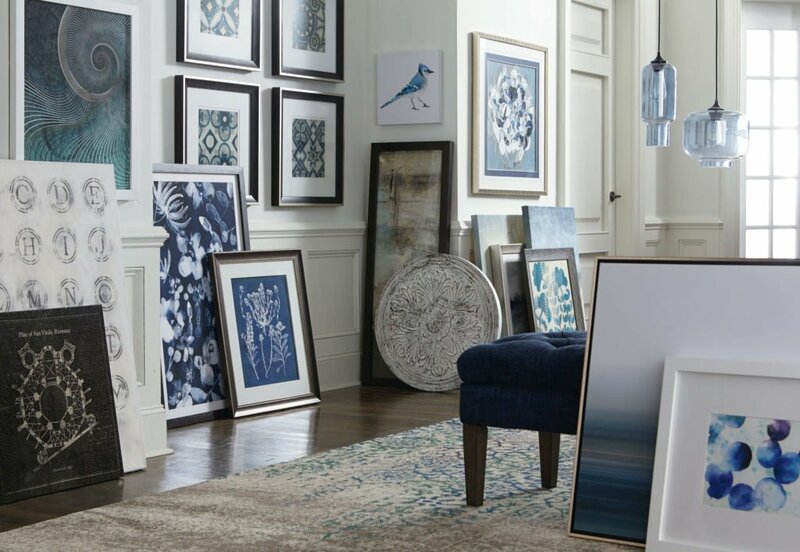 Art is another great way to ground a space and if you’re loving today’s design mood board of blues and grays, there are so many beautiful art options out there in this color palette right now to help pull this color scheme together! There are so many creative possibilities for switching out bold colors when you have a well grounded foundation of transitional colors. I actually use these shades of blues in my own home because blue as a neutral is more exciting than a foundation of basic grays and whites. I also keep many of my accessories neutral, which allows me more color flexibility to throw in pops of virtually any color because next month, I’ll have a new favorite color that I want to incorporate. 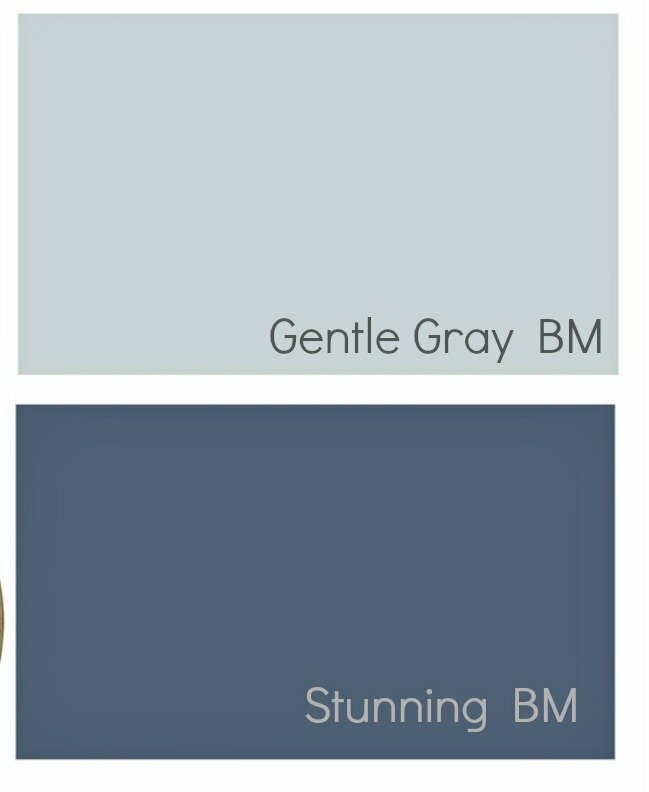 I hope I made my case today for this beautiful and flexible transitional blue and gray color palette. 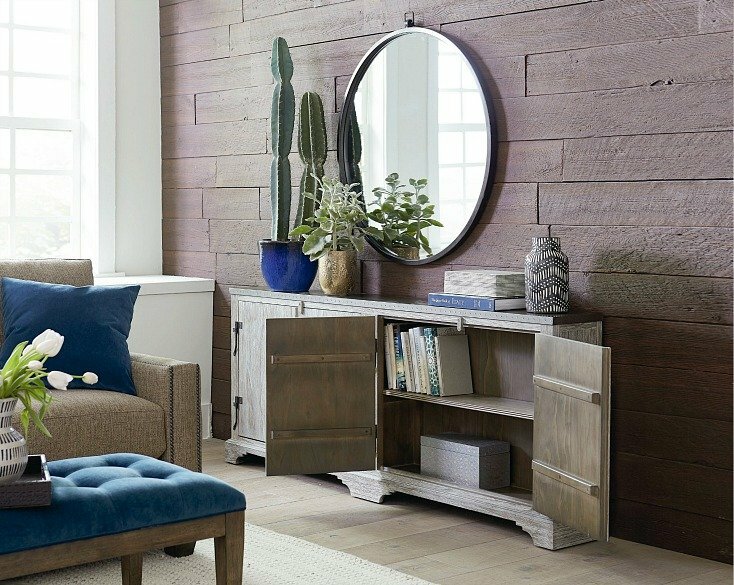 You can find even more room inspiration and layering ideas by looking through Bassett Furniture’s website. I love that they not only show their furniture pieces but they also show ways to layer and how a piece looks in a space. 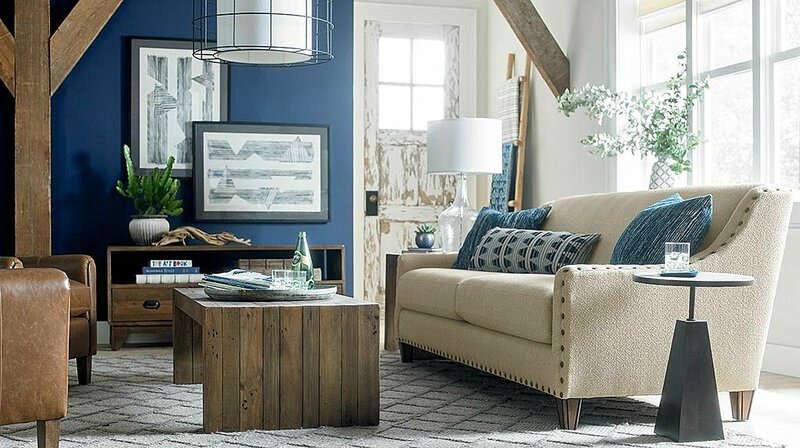 Be sure to check Bassett Furniture out on Instagram here because their feed is loaded with great room ideas! Thanks for stopping by today and if you have missed any of my past Moody Mondays, you can look through them all here. *This post was sponsored by Bassett Furniture. All opinions are mine. This is going to be AMAZING especially because you have such a fantastic eye for design! I can’t wait to see it come together!! I can’t wait to see! I am in love with that last couch and wow, the blue looks perfect! I am looking to doing some updating to my house. I feel like I’m stuck in the tuscan home look and want to update. I was looking at your blog and was wondering if you still like repose gray as a neutral all over color. Or am I too late for the “gray trend”. . .. I love the neutral colors and blues of this palette you showed today. My house has the darker reddish wood cabinets and is painted a yellow all over right now. Is it possible to show pictures? Oh no! You’re certainly not late on the gray trend and Repose Gray is a fantastic color to use when transitioning a home from warmer tones to cooler. Repose is right smack in the middle, which is why I recommend it so much. Do you do any online consultations on color choices where I can send pictures? Our painters use only Sherwin-Williams paint. What colors there would be comparable? Great blog and excellent timing! I just ordered the Lauren sofa the weekend before last! The fabric I chose is called Ivory but in reality it has threads of grey, beige and small flecks of off white. I’m hoping it’s neutral enough to go many directions. I’ll be repainting my room, which is in sw lemongrass, once I get my sofa delivered. Not sure of my color choice but I just painted my kitchen SW Creamy which I absolutely love and is visible from my living room. I have dark brown leather sofas. I love blue and grey. Can you suggest some colours I can paint my walls and colour for layering with acessaries. I am working on basement bedroom with a brick fireplace that reaches across the wall. Then 1 navy blue wall with the 2 main windows. Behind the head board is a split 1/2 wall with Navy blue n other half white. Across the room is white. I really appreciate the look so far. Although it needs curtains. I am having trouble finding a good idea for curtains. The room also recommend curtains in the room to be darkening curtains. So would stunning blue work in a North Facing room? Do you have the LRV of that color? Very pretty in pics but can’t tell how much bright lighting was used. 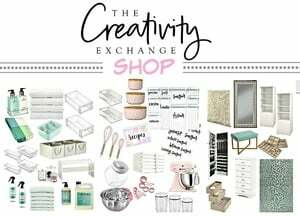 Can’t wait for the next post with more fabulous coastal ideas!! Love them, would Love to see a Teal Blue, Orange and Gray layering couple of options. .. I love all the cream sofas but…..I do live at the beach and my goodness you would not believe the oils, lotions, dirty sand ( I have a house across from the beach) and a 150# Anatolian Dog and a cat that loves to scratch. I got a nice muted Loli beige/ivory/dots of various blues very muted and did light french oak floors. Wall Classic gray, trim 60 percent White dove to eliminate shadow effect on deep crown. Now I am wondering if I should switch to a nice navyish blue for the sofa and arm chair. ? Any suggestions on sofa colors other than white? for the coastal feel, but not too much coast (ish) as my style is ecletic/transitional/tiney bit bohemian.